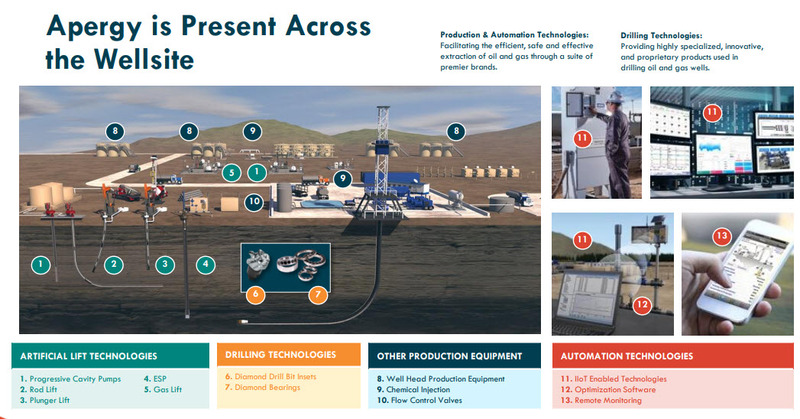 Apergy Corporation is a provider of oil and gas drilling technology solutions. It has large growth potential combined with very high profitability. But the stock is currently not undervalued enough to justify a BUY. After heavy pressure from activist Dan Loeb, the industrial equipment giant Dover Corporation (DOV) decided to spin-off of its energy equipment division Apergy (APY). The objective is to focus the Company’s stable activity and to remove the divisions whose activity depends on the economic cycle in the market. It is not certain that this will solve all of Dover’s problems (see an interesting article in Bloomberg), but the move to independence will certainly do well for APY. 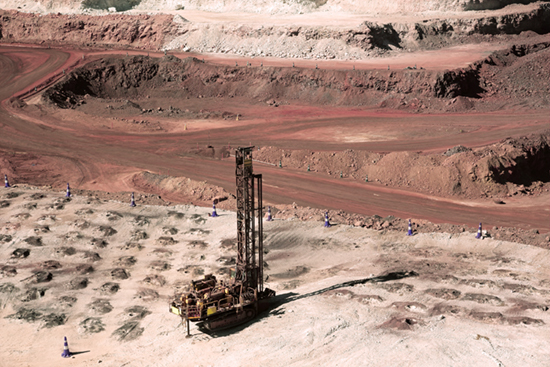 APY offers gas and oil exploration and production customers a wide range of lifting, drilling and automation equipment. The company is a relatively small player compared to giants such as Baker Hughes or Halliburton, but it still generates significant revenues of over $1 billion a year and trades at $3 billion ($39 a share based on 77.4 shares outstanding). You can see the spin-off prospectus at this link. 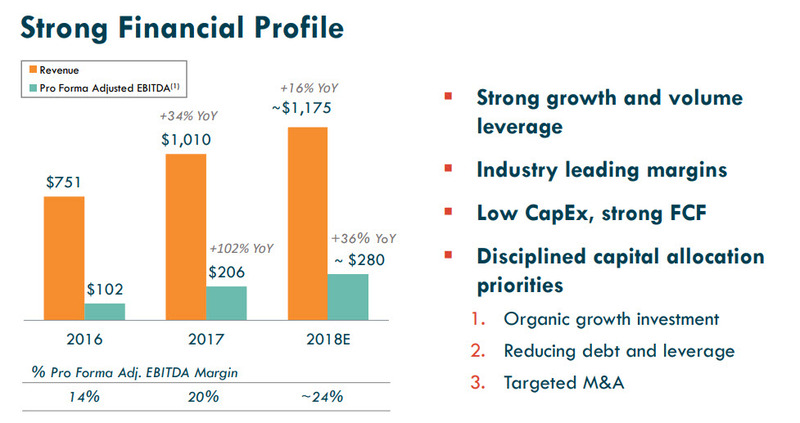 APY excels in high profitability compared with its competitors: in 2017 it achieved a 20.4% EBITDA margin and its revenues are expected to grow by 16% in 2018 with EBITDA margin improving to nearly 24%. The company also manages to maintain low CapEx of only 2.5% of sales and thus translate its profits into high free cash flow. This makes it one of the most profitable companies in the industry. Apparently, most investors understand this, and so, at least until now, we have not seen the temporary effect of price drop we usually see after a spin-off. 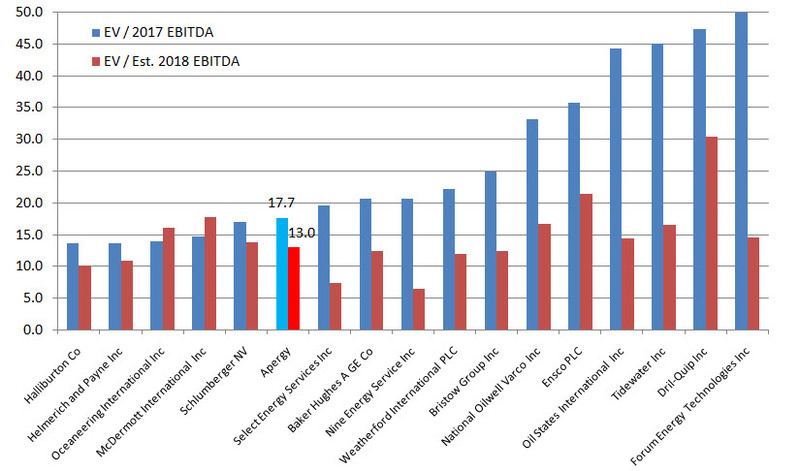 At a price of $39 and EBITDA of $206 million for 2017, the stock trades at an EV/EBITDA of nearly 18, slightly below the average multiplier of 20.6. For 2018 APY is expected to grow by 16% and improve profitability, so its future multiplier will be around 13.0, slightly lower than the average in the sector (13.8). 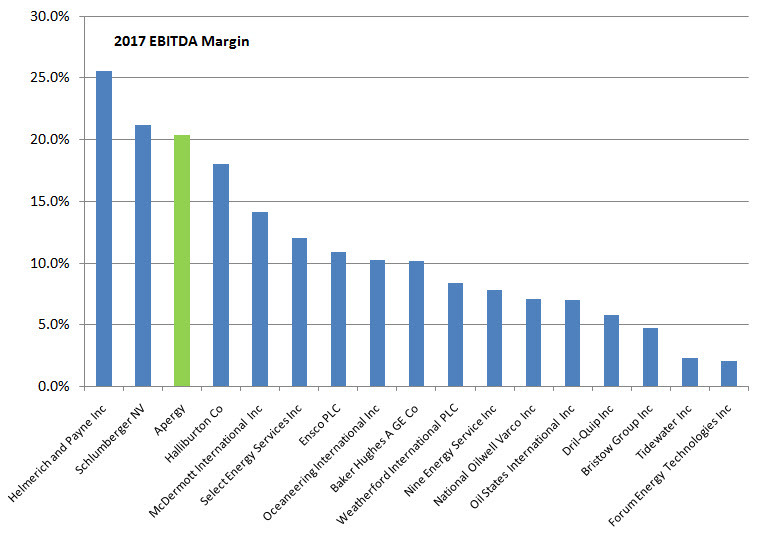 I estimate the stock should trade slightly above the average valuation in the sector, i.e. around $45. Bottom line: APY is a quality company that in my opinion will take advantage of the rising positive cycle in the energy sector in order to grow nicely and improve profitability, but the share is not very cheap. If an irrational price drop will occur, as is sometimes the case after a separation from a parent company, it may fall to a more attractive price level (say below $36) and then it will be more interesting to invest in. Be the first to comment on "Apergy: a quality business trading at fair value"